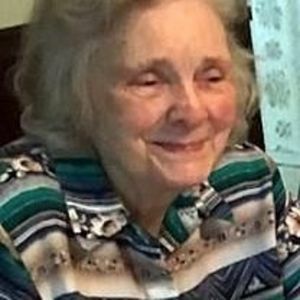 Martha "Patsy" Leigh Johnson Gantt, 88, of Liberty passed away on Tuesday, September 12, 2017 at Universal Healthcare in Ramseur. The family will receive friends on Friday evening, September 15, 2017 from 6:00 until 8:00 p.m. at Loflin Funeral Home, 212 West Swannanoa Avenue, Liberty. She was the daughter of the late William Pickney and Beulah Carter Johnson and was also preceded in death by her husband, Abraham Lincoln Gantt; daughter, Wanda Sue Gantt; sons, John Gantt, Donald Gantt and Gerald Gantt; four sisters and six brothers. Surviving are her sons, James Gantt (Brenda) and Timothy Gantt (Elisa); sister, Marianna Speaks; six grandchildren, Zoe Neely, Zan Gantt, Amy Gantt, Kevin Gantt, Patrick Gantt and James Gantt, Jr. and eight great-grandchildren. In lieu of flowers, memorial contributions may be made to Siler City Church of Christ, 1511 W. Raleigh Street, Siler City, NC 27344 or Wendover Church of Christ, 811 W. Wendover Avenue, Greensboro, NC 27408. Loflin Funeral Home, Liberty is honored to serve the Gantt family.